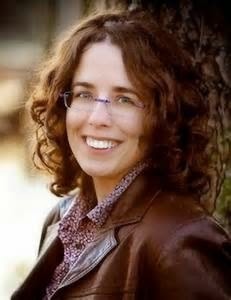 Jane Friedman will be the keynote speaker at Publish Now: Find Your Path to Publication, on June 13, a day-long seminar that will explore different ways to get your work into the hands of readers. The event will take place at The Writer’s Center. For a complete schedule and early bird registration, visit www.writer.org/publishnow. As much as my own career has revolved around the reading, writing and publishing of books, the book can, in fact, have limitations. Stating this is close to sacrilege in some circles, and not just for those who work in publishing. For hundreds of years now, the book has been the primary vehicle to share knowledge and authority. To some extent, it still is. But there’s another history of the book that isn’t often acknowledged, and that’s its history as a business. The book was one of the very first products that was mass marketed and sold. And today, with hundreds of thousands of books published every year, books are dramatically overproduced in the hopes of producing profit or launching a career. Very few reach the level of shaping culture or influencing ideas. In the name of sharing ideas, telling stories, or wielding influence, authoring a book is only one tool or method available to us today, and not always the best. We now have the best speakers and thinkers lecturing through video and online courses, reporting through multimedia websites and blogs, and offering professionally produced podcasts—just to mention a few mediums that weren’t available to most of us even twenty years ago. It is possible to thrill at a beautifully written passage that fundamentally shifts how we see ourselves and the world, and at the same time acknowledge that the physical form of the book, as well as the ebook, doesn’t always fit into the multi-faceted digital network we’re immersed in on a daily basis. This is why I try to help writers think beyond the book. Consider the story or message you wish to share, rather than focusing on the container. There has been so much aspirational focus on writing and publishing a book without consideration of the many other ways we can write, publish, and share ideas in the digital age. I’m not saying that the book is dead. However, the way the book has traditionally been sold and distributed will die. By the end of 2012, nearly half of U.S. book sales—that includes both print and digital books—were happening through online retailers. As most people know, online retail is dominated by Amazon. While many people talk about whether the percentage of ebook sales is growing or not, it’s in fact more important to keep tabs on where the majority of sales are happening, regardless of format. This directly affects how books are discovered, and puts more power into the hands of tech giants. These companies have far more data and insight into book consumption and readers than the publishers themselves. It’s also important to separate the future of the print book, or even the book itself, from the future of writing, reading, and literacy. Many people value long-form reading and the experience of deep immersion in a book. But the number of heavy readers who avidly consume books has always been a minority of the total population. Most studies show that we read as much as we ever did—but what, where, and how we’re reading is changing. For a long time to come—for at least as long as the printing press revolutionized all aspects of society—we’ll experience a revolution in how we find, use, and share stories and information. On the most practical level, authors who understand when and how a book is needed or valuable for their audience will have a leg up on the competition. This is particularly important to understand because, by some accounts, we now live in a time of universal authorship, where anyone and everyone writes for public consumption. While that might not mean writing a book for publication, it includes things such as commenting, blogging, posting updates on social media, and being active in online communities. Everyone now has the same tools to distribute their work, and it requires virtually no technical expertise or investment to do so. You simply click the publish button, and your words are available to the world. Every decision you make as a writer has to be made with this bigger picture in mind—of how a particular book, article, blog post, or social media effort attracts a certain type of reader, and how you expect to funnel that reader to the next experience if they enjoy your work. Try to focus on the why of what you’re doing. What is it you stand for that’s bigger than the specific book or story you want to publish? I know that writers hate thinking of themselves as brands, but if they can at least see themselves as a unique voice, with a unique position or perspective on the world, that can help create a plan or strategy that encompasses many possible models for creating stories and sharing information. Jane Friedman has more than 15 years of experience in the book and magazine publishing industry, with expertise in digital media and the future of authorship. She speaks around the world at events such as BookExpo America, Frankfurt Book Fair, and Digital Book World, and has keynoted writing conferences such as The Muse & The Marketplace. She currently teaches publishing at the University of Virginia. For more, visit janefriedman.com. When writing fiction, making stuff up sometimes is the easy part. It’s getting the facts right—the history, the geography, the climate, and the ambiance of the setting—that can be the real challenge. This is particularly true when writing across cultures. 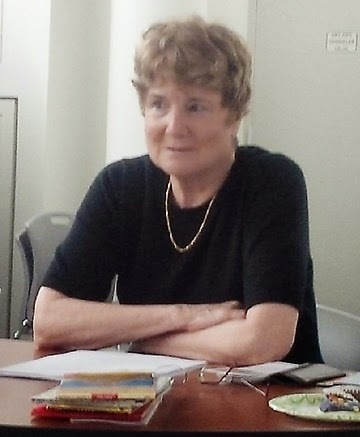 At its April First Friday event, the Writer’s Center–Leesburg Committee hosted well-traveled mystery writer Peggy Hanson, who shared her experiences writing Deadline Istanbul, Deadline Yemen, and the forthcoming Deadline Indonesia. Having lived abroad for years, Hanson brought to bear extensive personal experiences and knowledge of the cultures of those countries in her work. Still, she said, she relied on additional research to make sure she had her facts right. Among her advice for writing across cultures: First, fall in love with the place you are writing about. Second, maps are your friends. Buy maps of the countries, study them, and refer to them often. And third, always keep in mind how the political activities and the historical background of the setting will affect your characters and your plot. Valerie O. Patterson, author of The Other Side of Blue and Operation Oleander, will discuss how to bring setting to life for the reader, and Linda Budzinski, author of The Funeral Singer and the forthcoming Em and Em, will explore how raising questions in the mind of the reader can serve as a guide through the story. As part of National Poetry Month, Poet Lore’s editorial assistant Emily Tuttle conducted an interview with poet D.M. Aderibigbe, whose poem “City Boy” (below) appears in the Spring/Summer issue of Poet Lore. 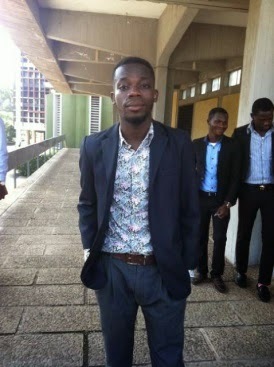 Aderibigbe is an emerging poet—born in Lagos, Nigeria in 1989—whose poems have been published in such journals as African American Review, Alaska Quarterly Review, Asheville Poetry Review, Notre Dame Review, and Stand. He is co-editor of the anthology More Than a Number: Poems and Prose for Baga, forthcoming from Unbound Content, and his manuscript received a special mention in the 2015 Sillerman First Book Prize for African Poets. Poet Lore is honored to present “City Boy”—and these words on his poetry and process. ET: The personal tone of “City Boy” creates a tragic and entrancing world, and the poem’s narrative voice seems so grounded, so able to convey story that it might go on following this boy and his father for years. Is the narrative voice of “City Boy” a reoccurring one in your work? DMA: “City Boy” is actually one of the very few poems I've written for my father. True, my family features prominently in my writing, and there are a lot of poems in my first manuscript that have my father in them, but he's always the villain given that my poems are deeply autobiographical, and I try to make them as accurate as my memory permits. As such, those poems aren't for him, but for my mother and sisters. So “City Boy” is a departure from the recurring themes of my poetry as it is a chronicle of how my father left his rustic hometown of Ile-Ogbo in Osun state to Lagos in search of a greener pasture, and how he struggled to survive with two kids—my sister and I—as a 20-something. The poem is a tribute to him. To go back to your question of the voice of “City Boy” being a recurrent one, it's a NO (at least for now). I don't know about the future, the voice might become a very pig-headed one that refuses to stop ringing in my head. ET: “City Boy” compels overwhelming emotion with a spare word surface. Yet in other poems of yours, more verbose language drives the piece. How do you negotiate form and tone? Is the tone of a poem co-occurring with the original idea for it, or can a poem undergo several tonal shifts as you edit? DMA: In my poems, you will observe that I seldom experiment with form as I feel the themes I currently explore are too serious for such. This is because I see the form of a poem as the foundation and pillars of the poem. For example, if the foundation and pillars of a house are well-built, such a house would withstand any amount of wind, but if they aren't well-built, the reverse would be the case. Such is the case in poetry. No matter how good the content of a poem is, you need an accompanying form to strike an impeccable balance. Take "City Boy" for example, I decided to break it into stanzas so as to ease the high tempo which the content of the poem has generated. I knew if I made it a strophe, the reader could get lost in their emotion and the poem would have finished before it reaches the end, but the chasms between stanzas would provide the transient respite required to get the poem to its end. As for tonal shifts, I doubt if any of those occur in my creative process, and even if any shift occurs, that will be unconsciously, because unlike form, I don't write poems with any tonal motive; the tones are their own gods—creating themselves. Perhaps this is because I want my poetry to be more factual than fictional. I should state, however, that the tone of a poem determines the form for me, hence, instead of the tone to change, the form changes. ET: Where do you typically find your inspiration? Who are your first readers—family, friends, other poets? DMA: You know it always sounds strange to me when I hear writers say they have a particular spot for writing. As for me, I write anywhere—be it in the toilet, be it in the classroom, or even in the restaurant. I actually do think a more important question about inspiration should be the source of my inspiration. Which, as a spiritual being, I have found to be God, and as a physical being, I have found to be my desire to keep the dead in my life alive. The desire to keep in touch with my past and to reflect the lives of the quotidian people often neglected in poetry, such as the hairdressers, the taxi drivers, fish mongers and so on, because it was from these people my story began. About my first readers, until recently I was an isolated tree in a large forest. So I used to write alone, edit alone, without anyone to show anything to. Well, it hasn't changed much, though, as I still keep about 80 to 90 percent of my poems to myself while the remaining 20 to 10 percent I send to some friends over the internet. So, technically, I'm pretty alone in this journey, and I'm not whining about my marriage to my loneliness. ET: We were grateful to have your poems reach us—how did you find out about Poet Lore? DMA: This question is funny to me. I feel everybody in the poetry world knows Poet Lore. It is the oldest [continuously published] poetry journal in the English-speaking world if I'm not wrong and one of the biggest journals out there. So naturally, I stumbled upon Poet Lore around 2012, a few months [after] I began writing seriously, after seeing it (Poet Lore) in Natasha Trethewey's bio. But I couldn't send poems for one reason: I felt my little poems were not up to Poet Lore's standard and any other big journal's, so I didn't bother until recently when I decided to give it a trial. Honestly, being in Poet Lore feels really, really great. Thanks for having my poetry. ET: You’ve published widely and in journals around the world. How does publication change your relationship to a poem or how does it help place you in conversation with other poets? DMA: Really, I try as much as possible not to make the success I’ve had in publishing affect my relationship with my poetry. In anything I do, I stay in constant with my mother's favorite maxim "when you walk even if you have the safest pair of shoes, walk like you have no shoes on and that way, you will never fall." So whenever I take my seat to write, I prepare my mind for a private conversation with the poem, devoid of external interference such as the thought of publishing or achievements. On another note, if I were to be honest with you, I've become a better poet because of the publications I've had. For one, it increased my friendship base, bringing me in contact with many amazing poets and people. We became friends and I started learning the technicalities of poetry through these poets who introduced me to the works of great poets I never would have known at that particular time. We also share ideas which help to sharpen my writing further. Similarly, I became friends with a number of editors of journals I published with, from these editors I received (I still do) moral support and encouragement, which an emerging poet like me really needs. I’ll use this medium to say a big thank you to all of you. God bless you all. Hanging to his back like a camel's hump. Through job vacancy signboards in Lagos. Goes empty, should the brain follow? When the sun rose again. Reception: Friday, April 10, 6-8 p.m.
Several poets associated with The Writer's Center are participating in an exciting new project.The Painted Word is an exhibit of Foundry Gallery artists paired with local poets in whose work they heard an echo—or felt a sting—to produce images and texts that vibrate with each other. 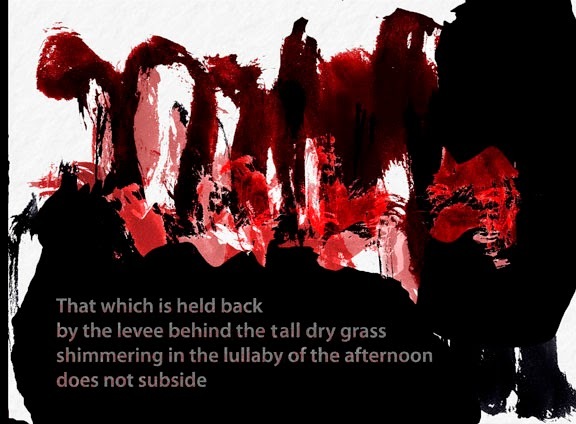 The painting and poem each act as a lens through which the other is intensified and gains depth of meaning to illuminate the structure of metaphor itself. Recalling the tradition of the New York School, in which painters and poets like Joan Mitchell and James Schuyler, or Norman Bluhm and Frank O'Hara, collaborated to express a resonant sensibility, these new works will be shown together at the Foundry during April, National Poetry Month. 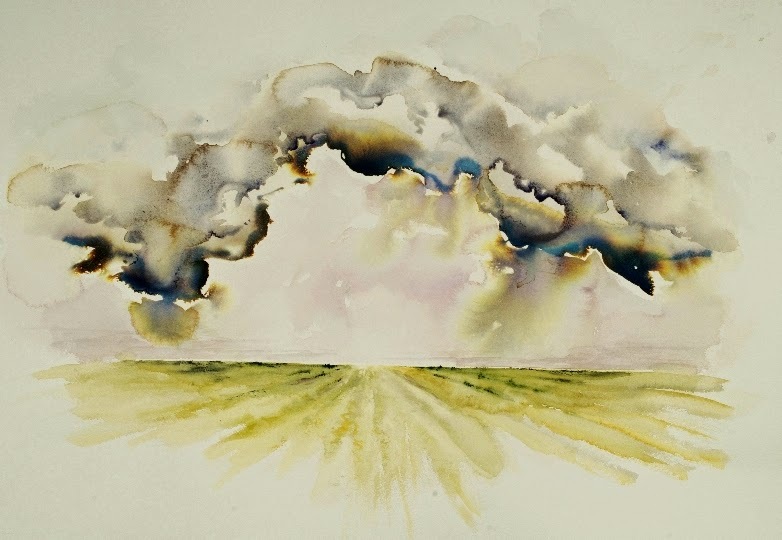 Poets participating in the exhibition include Anne Becker, Sally Bensusen, Ann Bracken, Nancy Naomi Carlson, Lisa Couturier, JoAnne Crowley, Anne Dykers, Nan Fry, Mary Beth Haten, Mackenzie Jacks, Merrill Leffler, Joel E. Minton, Yvette Neisser Moreno, Jean Nordhaus, Jennifer Pesek, Ann Slayton, Mary Tercheck, and Emily Willard. Artists include Fran Abrams, Amy Barker-Wilson, Jill Bateman, Jorge Luis Bernal, Katherine Blakeslee, Patsy Fleming, Gordana Gerskovic, Allen Hirsh, Heather Jacks, Donna K. McGee, Sarna Marcus, Kenneth W. Minton, Michele D. Morgan, Charlene Nield, Gregory O'Hanlon, Natacha Thys, Alex Tolstoy, and Kathryn Wiley. The gallery will host a poetry reading on Saturday, April 25, 2-4 p.m.
Below are examples of what is on view. The other, a giddy brightness beneath, a naive promise of hopeful weather. with a backhand of wind. The other just stands by to watch, passive drought of withholding. trestle in the roughest part of town. from the scaffold, then the seagulls and rain. But the kids, the kids were wild. Some were mean. then over the paints would go! Pepsi cans down on me, or Coke. It was awful, no joke. and blew my painting into the dirt. You can laugh! trotted by and peed on it. God! After that, I started working from photographs. 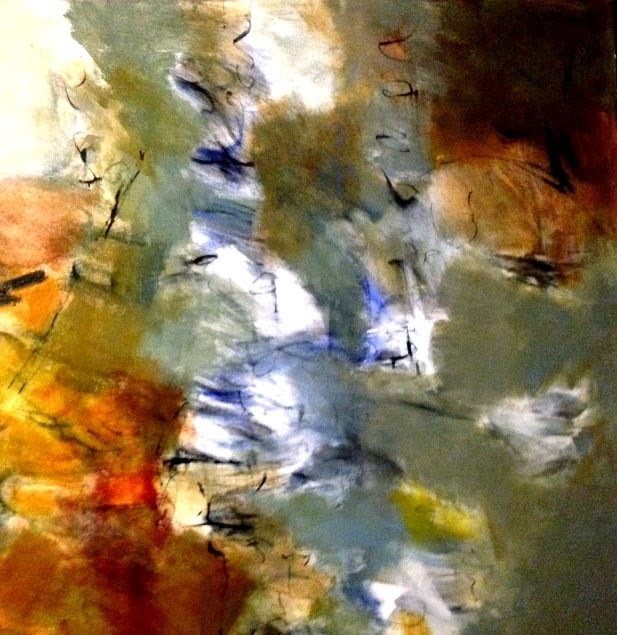 The Foundry Gallery is located at 1314 18th Street, NW 1st Floor, Washington, D.C., near Dupont Circle. For more information, visit www.foundrygallery.org.